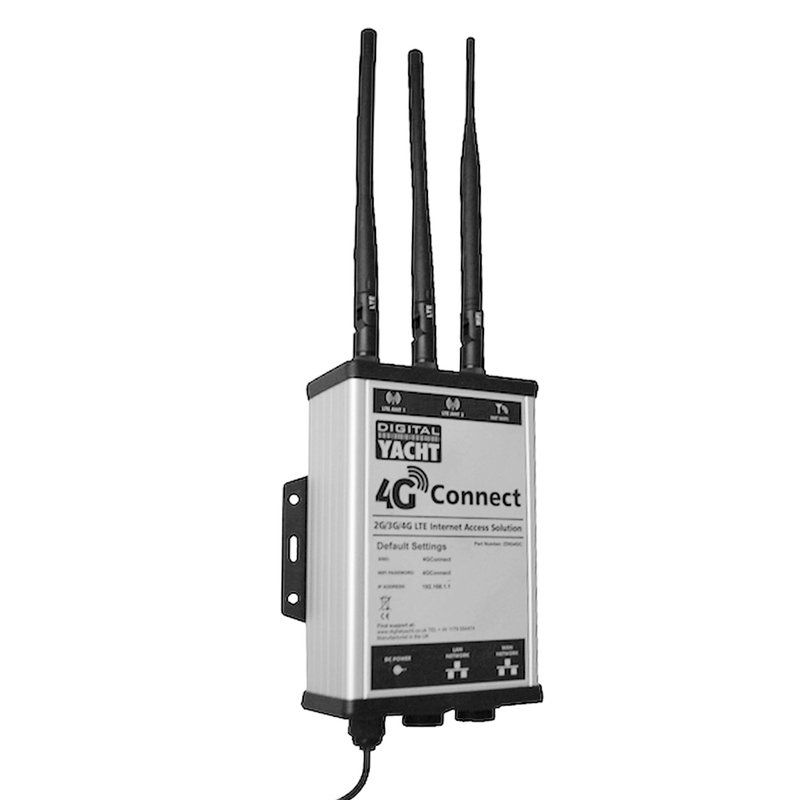 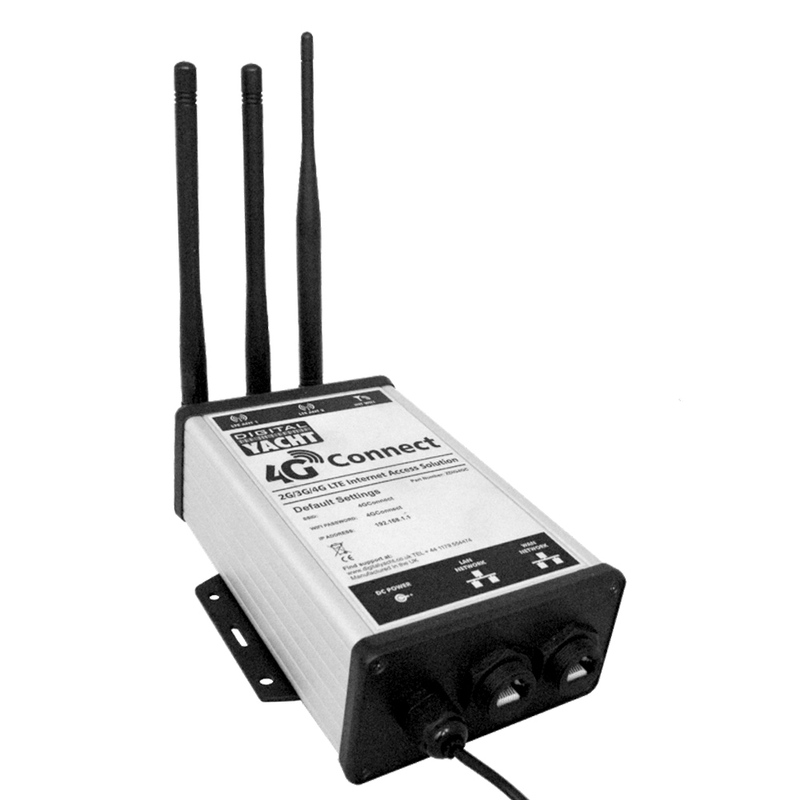 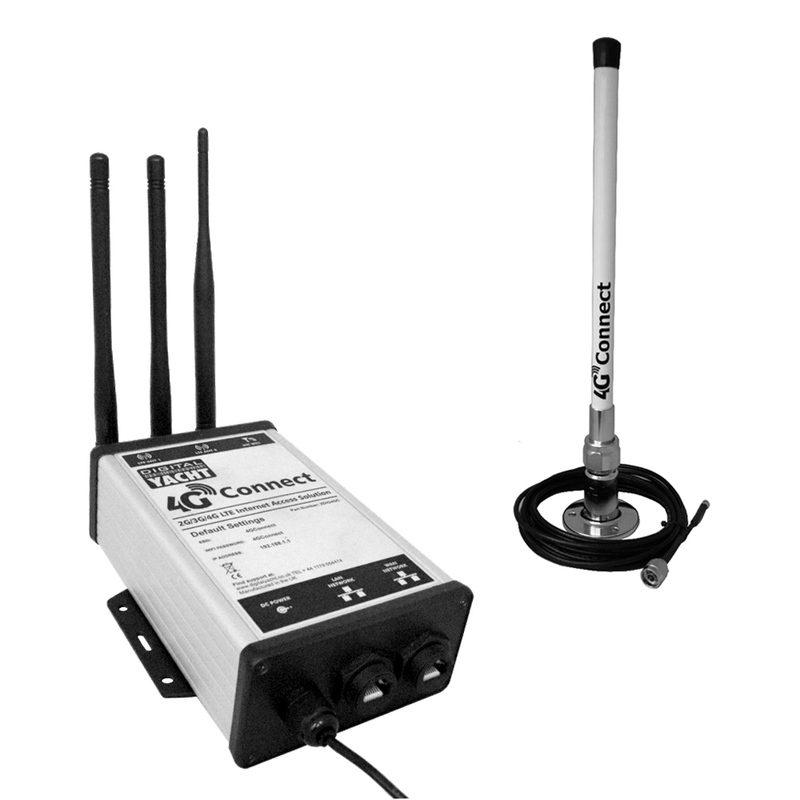 4G Connect is a new 2G/3G/4G (LTE) internet access solution to get internet on a boat. 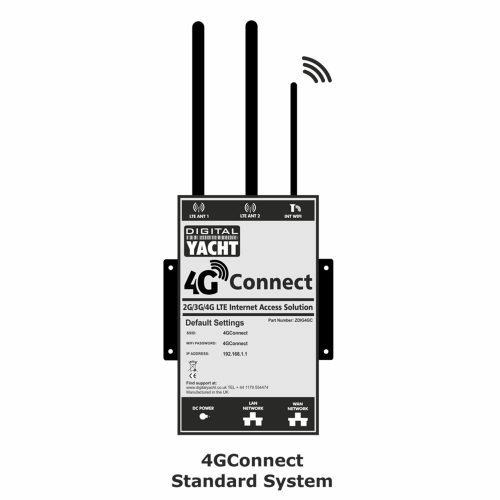 It utilises the latest MIMO technology with dual antennas for fast, long range access and incorporates a full function wifi router so multiple devices can connect wirelessly. 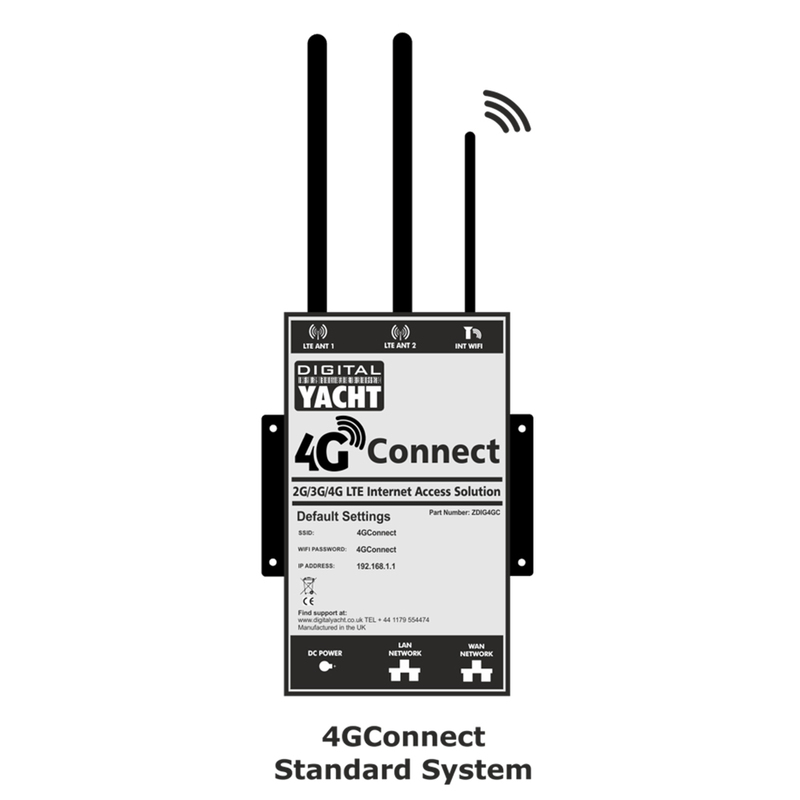 There is also a wired LAN port and WAN port – for connection to high power wifi devices or satellite modems. 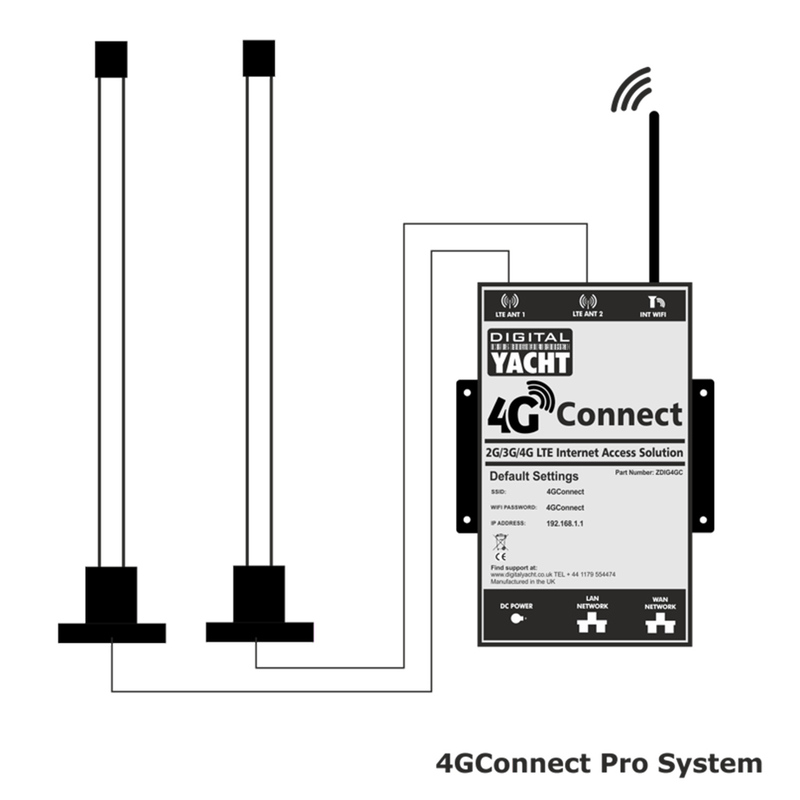 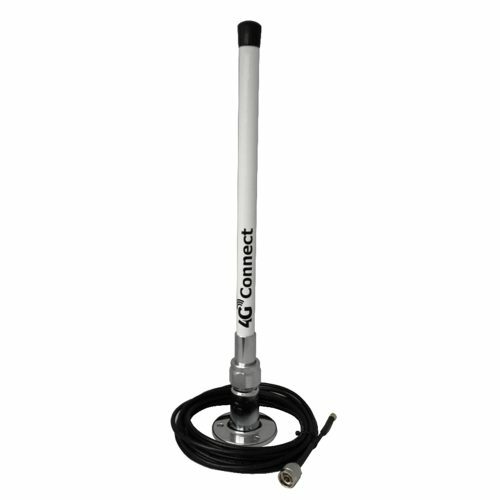 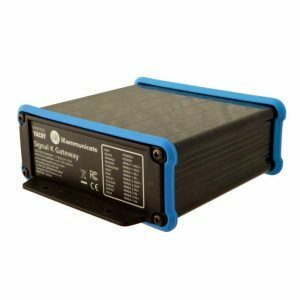 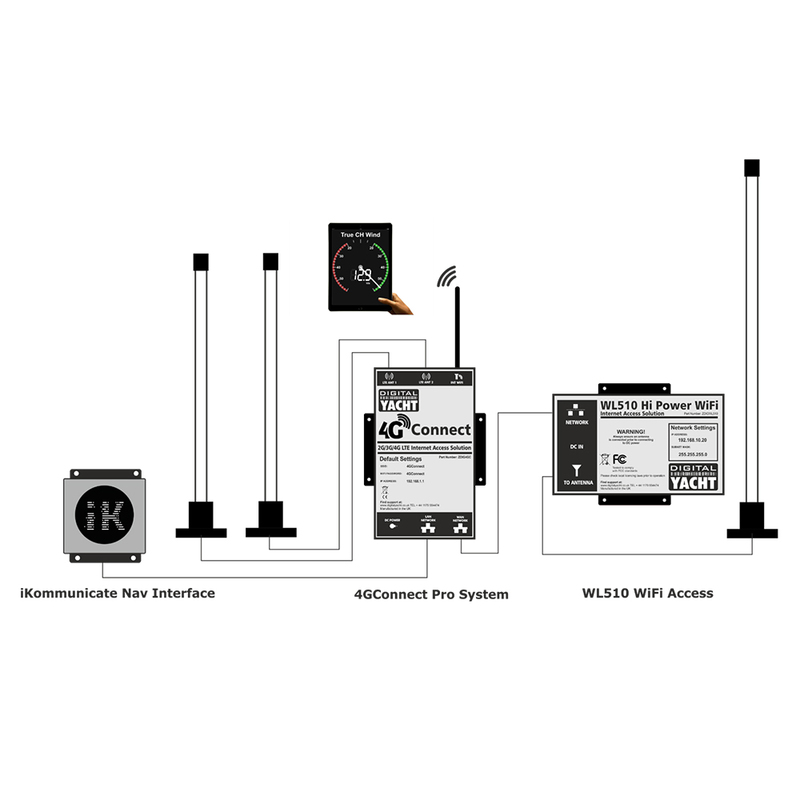 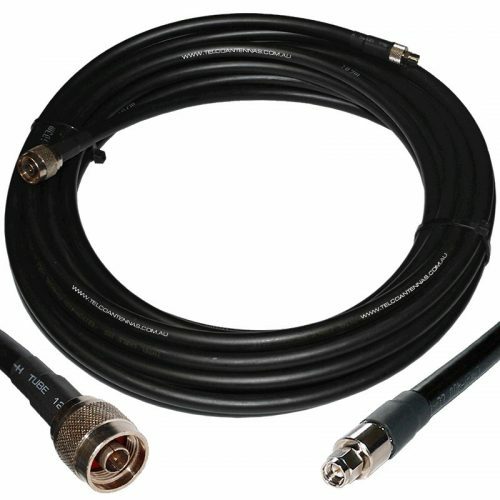 The 4G Connect Pro is provided with 7m cable kit so if you need 10m or 20m cable, add in your cart the 10m or 20m cables kit.